School is back, but many of us still have some shopping to do before the session is in full swing. While you may not have considered Sam's Club as a shopping resource this year, you should! Not only does it offer a variety of traditional school supplies, but it has clothing, lunch box snacks, and must-haves like cleaning wipes, tissues, and cold remedies! At the Sam’s Club Back-to-School event, you can get a head start on your collection and find 6 Box Tops on participating General Mills products. 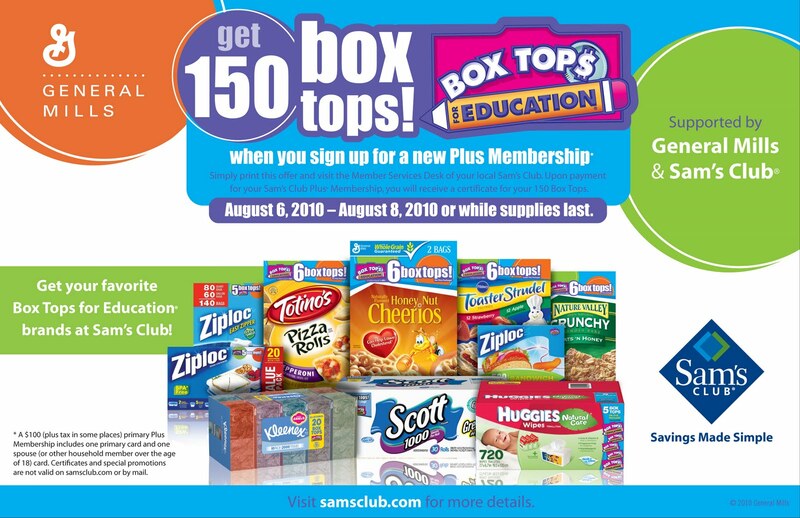 With your favorite Box Tops for Education brands at a great value, Sam’s Club is your one-stop destination for all your back-to-school supplies you need to send your kids off to school with confidence! 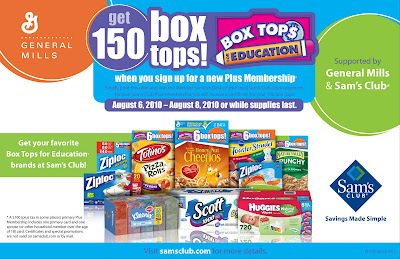 In addition, Sam’s Club is giving you the opportunity to earn even more Box Tops when you upgrade to a “Plus Membership.” From Aug. 6 – Aug. 13, or while supplies last, visit the Member Services Desk of your local Sam’s Club and upon payment for your Plus Membership, you will receive a certificate for 150 Bonus Box Tops! For more information on how you can take advantage of the Back-to-School event at Sam’s Club, visit www.samsclub.com today! Even as homeschoolers, we have a large shopping list. We were really impressed with how much we saved on staples for running our class time smoothly! Have you considered using Sam's as your ally in the fight against costly school supply lists? Why not? 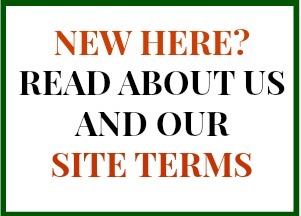 We are even giving one of you a chance to do so for free! Wanna Win? We are giving away a $25 Sam's Club Gift Card to a lucky reader! To be entered to win, just tell us what you would use it for! You have until September 2nd at 11:59 pm CST to get your entries in, and you CAN ENTER EVERY DAY! (Just comment as directed for the first entry, and then enter with "today's entry" for each entry after that. * I received a Sam's Club Plus Membership and gift card as part of this promotion. These, the prize, and all information pertaining to the campaign were provided by Sam's Club and General Mills through MyBlogSpark. I would use it for fresh produce and Cheerios - all varieties! I would use it for tissue paper, toilet paper, and wipes: three items we can never have enough of around this house! I would use it for paper goods like paper towels and tissues. I'd like to get back to school supply and some snacks for kids. I'd stock up on Cheerios and soda. I would buy fruits and veggies with it. I'd use it for snacks for the kids' lunches. I would use it for fruit,vegetables,water,soda and snacks. I'd use it for laundry detergent and diapers. Thanks for the chance! I would buy Honey Nut Cheerios and printer ink. I love Sams! As a matter of fact, I was just there today! I would use the GC to buy laundry detergent and bottled water. I would use it for stuff we use a lot of like cereal and toilet paper. I'd stock up on Cottonelle, Kleenex, Pillsbury Biscuits, and Yoplait Yogurt :) *Thanks* for the giveaway! I'd use it to buy contact lens solution and some juice. I would use it for granola bars, cereal and tape. I'd use this for basics, like cereal, milk, coffee. Thanks for the great giveaway! I would use it to get my some things for school lunch for my daughter and some cereal! I'd use it to stock up on Kleenex! Not exciting, but necessary! Cheerios, tissue, milk, and lots more, thanks. I would use it for Cheerios, Roll-ups and snacks for after school. I would use it to stock up on snacks for lunch boxes. I would get the rest of our school supplies. Thanks! I would buy cereal, milk, and fruit snacks for the kiddos. I would stock up on shampoo and conditer! I would buy some muffins, italian chicken strips, and cereal. I would use the gift card to help stock up on a few items (groceries). Sams is great for that. I would use it for baked goods! They have great cakes, muffins and brownies there! YUM! I'd use it to get breakfast/snack items- Cheerios and Nature Valley Granola Bars. Also a couple of Sharpies markers. Thanks! I would use the Sam's Club card for printer paper and ink. We really go through it fast. I'd use it toward a new TV. Mine just died. I would use it for lunchbox and after school snacks. Fruit and veggies are so high, I think I would spend it all on them, hard to fit yhem in grocery buget. I'd use it for water, cereal and freh veggies/fruit! I would stock up on meat. Toilet paper and school supplies for our family! I would definitely have to get PediaSure and Boost for my little one! I would use it for peanut butter, fruit, and my LO's favorite fruit snacks, or Boo's as he calls them. i would use it for milk. 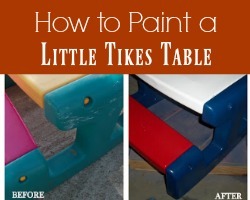 I would use it for juice boxes and fresh fruit, for my son's lunchs! This gift card would be perfect for getting a jump start on Christmas shopping. They have such unique gifts at Sam's. I would use to purchase groceries for my kiddos. I would use the gift card to get baby wipes and toilet paper. If I win I will use the giftcard towards a new mattress pad for my son's bed. I would use it to stock up on bulk baking items and dried beans or pasta. I would buy laundry soap - washing for 5 soon to be 6. I have 2 that are not yet of school age, so it would definitely go towards formula and diapers, both of which we go through like crazy! $25 would buy formula for our 5 month old, or Pull-Ups for our toddler. Thank you for the chance to enter! I would use it to stock up on hand sanitizer, tissues and lunchbox goodies. We seem to always be out! I would use it to stock up on baking supplies - flour, yeast, sugar, etc. Simply put, I would use it for whatever it would be that I needed at that time. I would use it for school supplies and snacks for lunches! I'm already starting to stock up for holiday baking--so I'd get chocolate chips! I would buy pre-cooked bacon & waffles. Sam's has the best prices on those items!! I would use it to buy bananas, CapriSuns,Little bags of chips and Milk. We seem to always need all of those and will be used for breakfast and lunches!! I would use it to purchase snacks for lunches and for the classroom. I would use the gift card to purchase snakcs for class parties! I would use it to purchase snacks for my kids to take to school. With 3 kids at home, I would use it to buy paper towels and toilet paper we are always running low on those things. I would love to get an adorable little punkin' costume for the little one at Sam's with this gift card! Too cute! I would use it to buy boxes of oatmeal. My yellow lab has a sensative stomach and couldn't keep food down very well for three years. We tried every brand out there. Last December we finally discovered if we feed him a diet of oatmeal, rice, meat and vegetables he does great. He hasn't gotten sick once since we switched him. Sam's Club sells Quaker Oats in bulk. This would help out a ton! I would buy Clif bars! i would use it to buy food have two teenage boys and they eat alot. I would buy produce for snacks. Salmon fillets! It's easy for me. Pillsbury Toaster Strudel - so good! I would use the gift card to purchase snacks for my children for school. I'd get lots of snacks for back to school! I would buy fresh fruit and granola bars. I buy a lot of good fruit from Sam's. But when my kids go back to school, they think they need an unlimited supply of Pizza Rolls to eat after school/before work, so I spend a ton of $$ on those! I would use it to buy printer ink. Tops on the list are Kleenex and Scott Tissue. yoplait yogurt,my kids can not get enough of it! I would get cereal like honey nut cheerios, cinnamon toast crunch and lucky charms. Thank you! I would use it to buy some some new pillows! I'd buy some cleaning supplies for my new apartment! i would use it for meat and fresh produce. I would use it for fresh fruit for lunches. I'd use it to stock up on baking goods, since I bake bread for sandwiches and other things. Thanks for the giveaway...we would put it towards a graphing calculator for our daughter ! 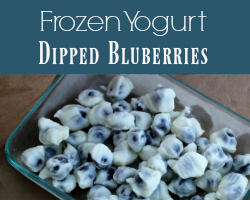 I would get Cheerios and frozen blueberries. I love Sam's...I would buy some snacks to send into my son's classroom and lysol wipes too. I would use it for office supplies.